Invasion of the Poke Zombies! Imagine if you will: an epidemic that sweeps across the world, turning once active sociable people of all ages in to glossy eyed, mouth hanging, grunting creatures that barely resemble the humans they once were. They stagger around, staring downward at an object – a relic of their former lives now become their master. And on its tiny lit screen holds these pseudo-people’s only remaining obsession. A drive that takes priority over cleanliness, rest, and even nourishment. An echoing call from beyond the veil of time and space to seek out creatures unknowable to this world, whose very biology is enough to make even the most studious professor go raving mad trying to comprehend and explain. And yet these huddled masses, so devoid of anything we can definitively call humanity, work slavish to heed these creatures call… to capture each and every one. To catch them all if you will. Well, there’s my spooky horror Halloween bit for the month. But in case you can’t glimpse through the pathetically faux-Lovecraftian prose above, I am talking of course about Pocket Monsters/Pokemon X and Y which was just released and you had better believe I got my sweaty mitts on it at the midnight release. More specifically I have the Y version of the game, while my significant other holds the X version. Fitting with the whole chromosome thing I guess. But it has been sucking up almost every free hour I have. Hence why my Operative sits at 53, and I still haven’t finished the next Class Storyline Review as I haven’t finished any new chapters of a class story… because POKEMON. I don’t know what it is about this generation of Pokemon (formally dubbed Generation VI from what I’ve gotten from various pokedex websites) that has me so engrossed. I barely cracked a dent in Diamond, and before that the last one I played was Silver. Okay, well, Pokemon Snap too. But I don’t think that counts. I didn’t even grab up half the gym badges in Diamond, and here I am with Y only days after release knocking on the final gym’s door. What is up with this version? Well for one, I think it has a lot to do with cutting out a lot of the tediousness of the previous games. You can run right away, in the first major town you visit you get roller skates that make moving even faster, and then a bit later you get a bike which is even faster than the skates. So moving around before you get fly is much quicker. The downside to that of course is trying to talk to people who move around. Oh pikachu on a pita, is it ever hard to stop and talk to them. Still it’s a small price to pay for greatly speeding things up. Speaking of speeding things up, you get the Experience Share device much earlier in this version. Like almost at the start. You turn it on from your key items bag and then all your pokemon who are not in the battle get half the experience gained from the battle, and pokemon in the battle all get the same amount of full experience. That’s right, it’s not split up between them anymore. Praise Arceus! This makes leveling an entire super easy, and getting your pokemon caught up as well. Have a level 5 pokemon you want to use but everything else is level 40? Just drop in the back slot of your line up and it’ll get half the experience of all the battles your up-to-date ‘mon do. It’ll race up there. The other thing that can’t be overlooked is the massive graphics overhaul. Pretty much all the games up to this point looked like something between the original Zelda and Link to the Past. In comparison, this would closer to the leap to Ocarina of Time level of graphics. Only less polygonal. But the leap is still impressive. 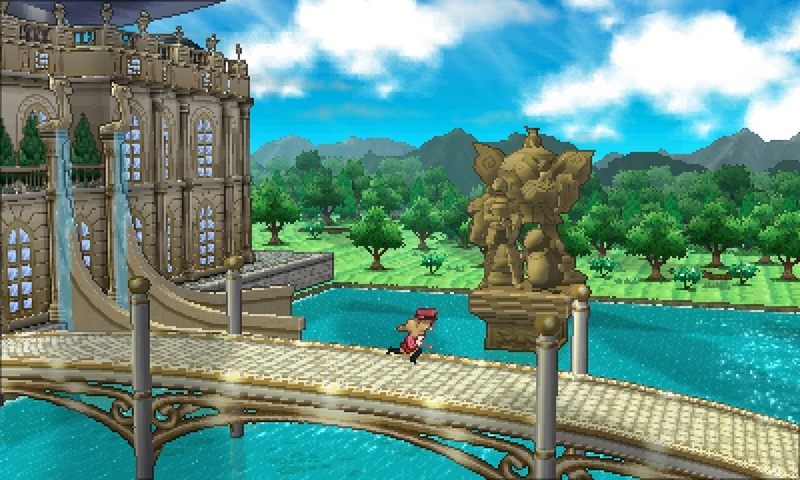 No longer with the fixed overhead camera and 2D sprites, the whole thing gives the world of the Kalos region a much more vivid and lifelike feel to it. The final thing I would say that has had me so enraptured is the story. I know right? Story in Pokemon. Of course that’s nothing new to veterans of the series. Diamond & Pearl had a story at least I know. Pretty sure several of the others did, but it is still one heck of a welcome addition from the Gold & Silver days. Even the whole rival thing is changed up with a much more friendly nature of your neighbor wanting to compete with you as a friend and rival instead of constantly butting heads with you to claim glory for themselves. The entire game has a much more accepting friendly tone to it. Even the story seems to be about how we need to embrace friendship and sharing both the good and bad in life to make it through. Not to say it doesn’t have darker tones with a doomsday weapon, frequent mentions of a war waged with pokemon that ravaged the region long ago, and a tragic story about a king who lost his beloved pokemon and sacrificed hundreds of pokemon’s lives to bring his pet back from the dead. This is the pokemon I WISH they showed more of in the cartoon. Can you imagine Ash, Brock and Misty in the plotline of Fullmetal Alchemist? Oh yes. Yes please. Vry likey. 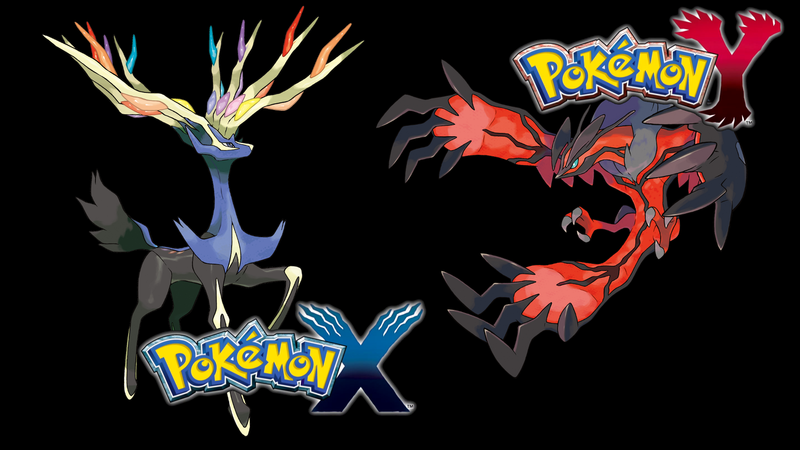 Honestly, if you were ever a fan of pokemon I think X and Y is worth a look. It does away with a lot of the tedium and makes a lot of things that were strange mysterious background mechanics much more transparent and less in the exclusive realm of the min/maxers. It does a great job of remaining true to the core gameplay of the series, while giving it enough of a fresh coat that I think people who got tired of the repetitive nature of the previous games will have something to enjoy in this, and also still be fun for the die hard fans who have every generation of pokemon on their game shelf. Give it a look, and join in the crowds of stumbling masses who can’t tear their eyes away from the screens. You too will become… A POKE ZOMBIE! OH! Also, I would be foolish not to include my 3DS Friend Code for anyone out there who might want to trade or battle or something. I’ve included it on the side bar of the site under the ‘Find Me On:’ banner, but for those using RSS feeders and don’t want to click to the main site, the code is: 1349-5385-7500. I also still play Animal Crossing: New Leaf time to time too. Maybe I’ll see you in the battle arena!